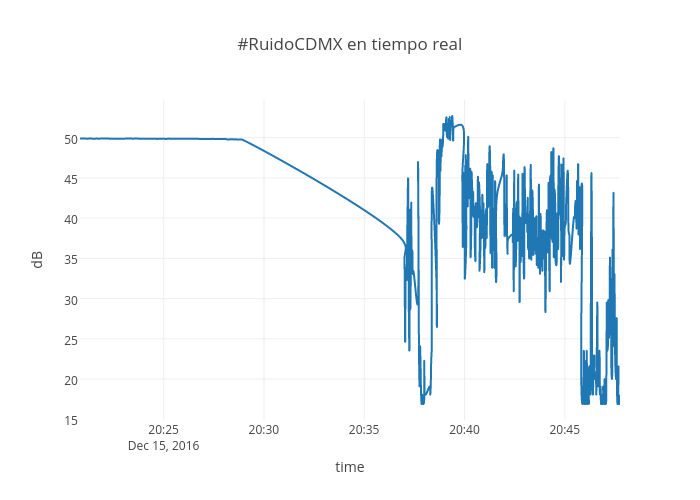 Phirequiem's interactive graph and data of "#RuidoCDMX en tiempo real" is a line chart, showing y; with time in the x-axis and dB in the y-axis.. The x-axis shows values from 1477224551074 to 1477225660428. The y-axis shows values from -5.722222222222221 to 268.72222222222223.